We thank you, God, for the numberless gifts of our lives. We acknowledge, with deepest gratitude, the ways you reach out to us to nurture and uphold us – even when we are unaware of your aid. Open our minds and hearts to you, so that in difficult times we might be less prone to worry or despair – and more likely to trust patiently and hopefully that new beginnings are yet possible for us, because you never abandon us or leave us comfortless. Help us witness all the ways you reliably enter our world and our lives to make all things new. Let us find peace in that recognition. And we pray for such recognition of you, and such sustaining peace, for others. We pray that today wherever there is loneliness, wherever there is hardship, wherever there is pain, wherever there is grief, wherever there is disillusionment -- that you may enter in. We recognize that solutions to life’s challenges and losses do not come easily and quickly. But let those in need learn to rely upon you, O God, for the unexpected resolution, or the unanticipated alternative plan, or the surprising gift of grace. Let them see, in the undying love of your risen Son, the certainty of your will ultimately being done and your final mastery of uncertain outcomes. We acknowledge that every time we meet at worship, we find Christ is among us, and we solidify our identity as his very body on earth. And so, as his people, we accept today the work to which we are called in his name. We ask that you will direct us toward our next roles and responsibilities. If we are to welcome the stranger, let us throw wide the door. If we are to heal the broken, let us employ every skill we know to speed a cure. If we are to forgive an injury, let us set aside our pride and set down the anger or bitterness we harbor. If we are to give of ourselves, as our Christ gave so freely, then direct us in how we may offer what is most needed in places most desperate for it. 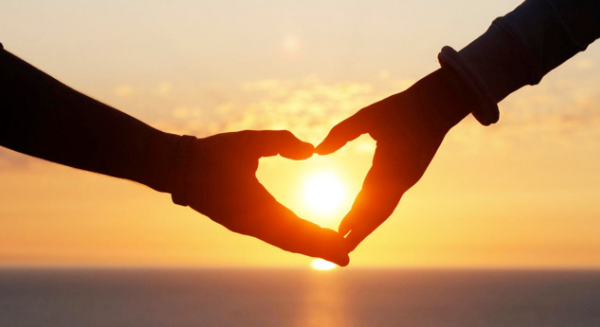 As the living, breathing, beloved Body of Christ, we pray that we will harbor within us always his spirit, that our lives may move to the beat and rhythm of his heart of welcoming and all-embracing love. We pray now in his memory and in his own words, as we say together … The Lord’s Prayer. Receive our gifts this day, God. And let them be a statement of our recognition that we owe our well-being to you. In gratitude for all we now have, and all we have yet to receive, help us to hold lightly the blessings in our care, that we may be always ready to give what we can to those whose needs exceed our own. Especially today do we acknowledge the need of our Jewish brothers and sisters in Pittsburgh to receive our sympathy and support in light of the shooting yesterday that has shaken them deeply. Help us find ways to acknowledge our connection to those who are grieving. We humbly ask that you will bring all of us wisdom for this hour. Grant us all your enduring peace. We stand in so many ways today, O God, in a thoughtful and humble attitude before you. 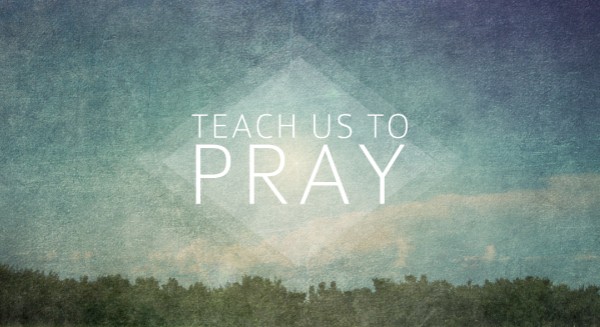 And like Christ’s disciples of old we ask… teach us to pray. Whether we pray in complex words and deepest thoughts, or with simple caring acts, expand our vocabulary of prayer. Teach us to pray. If we’ve veered away from acknowledging in our prayer that you are the one who is both near as our every breath, and higher than the heavens we watch in awe, then remind us that we stand in relationship to you as our maker, our keeper, our sustainer, our closest friend, our Father. Or if we pray as if we alone deserve your ear and your attention, remind us that Jesus taught us to pray with every other sister and brother in mind. Then may our prayers be turned outward with compassion, more often than inward with need. Teach us to pray… to pray well, to pray often, to pray faithfully, to pray in ways that matter for our lives and the welfare of our world. Then as we pray, we trust, O God, that Jesus’ promises to us will be fulfilled, and all our seeking, all our asking, all our knocking will yield some results – even if the greatest results we witness will be changes to our own hearts and souls. Teach us to pray, God, that whether we receive what we ask for or not, we may open ourselves, nonetheless, to receive everything you have to offer to us. We pray these things in the name and memory of the one who first taught us to pray. And using his words we sing them together now… The Lord’s Prayer … Amen.